JManga iPad Give-Away: Is App Far Behind? A couple of days ago I received a curious bit of news in my JManga newsletter email. 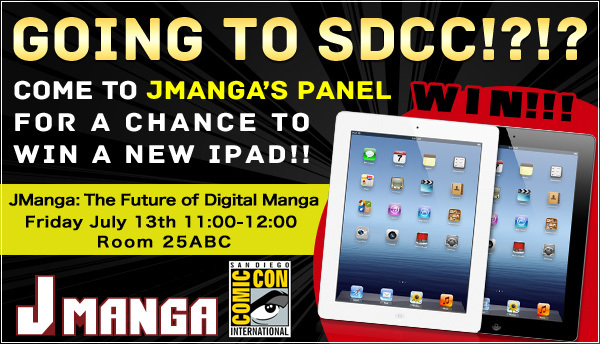 JManga announced that a lucky person attending their panel at this week’s San Diego Comic-Con (SDCC) would receive a free iPad. Anyone using the site knows that currently manga cannot be read there on an iPad because the JManga online reader is Flash based. Flash doesn’t work on iPads, but a native JManga iPad app has been in the works for some time now. While I was able to come up with a work-around to reading JManga titles on an iPad, I and many other JManga members, still hold out hope for native apps for our tablets. I can only hope that their iPad give-away tomorrow will signal the arrival of the JManga app at last! Update: JManga announced that apps for iOS and Android will be available in October! As I prepare for Anime Central this weekend, I am pleased to announce the publication of OMG Kawaii Desu! 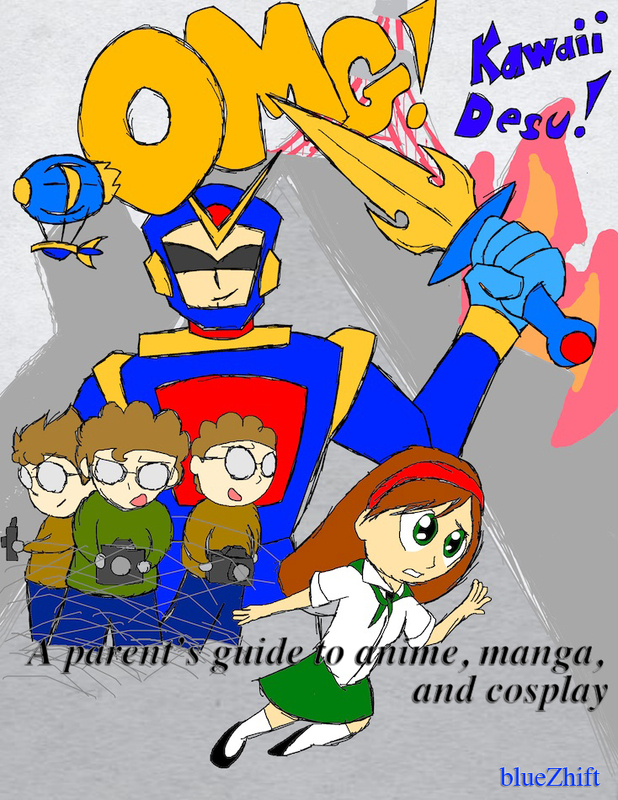 : A parent’s guide to anime, manga, and cosplay! This book has been in the works for the last year or so, somewhat later than I had first planned. So thank you to everyone for your patience! Your kids are watching cartoons with apple loving demons and magical schoolgirls, mixing Japanese words you don’t understand with their English, reading black and white comic books backwards, and wearing strange costumes. What’s a parent to do? First don’t panic, it’s okay. Your kids are just fans of Japanese anime, manga, and cosplay. This guide is intended to give you an educated look into the world your kids have embraced. Read it on your Kindle today! With the U.S. Department of Justice putting the hit on Apple and a cabal of publishers for alleged collusion and price-fixing on one side, Amazon brings a smackdown on the other announcing plans to lower prices for eBooks on the Kindle. While a number of the publishers have decided to settle with the DOJ, Apple and five others did not, leading the DOJ to formally file suit against them. Apple has denied any wrong doing, but it seems clear that regardless of how things turn out, the prices that consumers pay for most eBooks are about to tumble. I’ve seen a lot of gloom and doom on the net about what this will do to publishers and small bookstores, but I think that in the end a perfect storm may be brewing for eBooks to take the center stage of reading, just as digital downloads on iTunes has done for music. Despite the high cost of eBooks relative to what many readers think they should be in relation to their printed siblings, the eReader market is booming. I think a critical mass of Kindles, Nooks, iPads, and other tablets has been reached. The only thing holding the eBook back now are the artificially high prices being propped up by the old guard of publishers, aided, unfortunately, by Apple. When prices drop, the flood gates will open on sales of eBooks and reading devices. Obviously, Amazon stands to gain a great deal from this. Ironically, so will Apple which should see an increase in iPad sales as well, especially if they see greater adoption of their tablet by school districts. The fighting is going to be fierce and there’s a big question as to whether Barnes & Noble is likely to survive. The Nook Tablet is a great reader, but Barnes & Noble may not have the resources to fight toe to toe with Amazon. If they’re smart, they’ll be in talks with Google right now for a partnership or buyout. Change happens. But I’m more excited about the world of digital literature to come, than fearful of the end of things I’ve known in the past. At the end of the day, a book is more about the thoughts the author shares with us, than the media that delivers them. 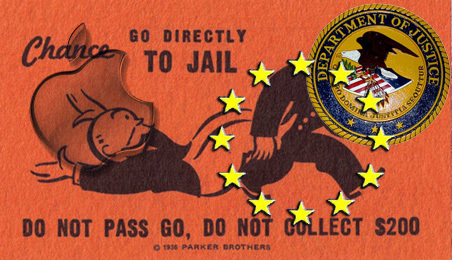 Ars reports that the European Commission is teaming up with the US Department of Justice investigating allegations of collusion and price-fixing in the eBook market by Apple and several large publishers. Apple and publishers Harper Collins, Simon & Schuster, Pearson’s Penguin, Hachette Livre, and Macmillan are accused of working together in order to keep eBook prices artificially high, in some cases higher than the printed edition. This alleged collusion is behind the move to the agency model in the eBook market by Amazon, Apple, and Barnes & Noble. In the agency model, publishers, rather than the retailer, set the prices of eBooks. Prior to that change, Amazon set its own prices for eBooks, often at a deep discount over the paperback cover price. Most Kindle eBooks costs $9.99 and less during that time, much to the chagrin of publishers who feared a rapid erosion of the printed book market. This changed after several of the large publishers threatened to withhold their books from the Kindle store unless Amazon agreed to the agency model they had worked out with Apple. Following this change, eBook prices rose dramatically, in some cases exceeding the cost of print. If the EU and US actions against Apple and the publishers is successful, they will likely see large punitive fines and be forced to abandon the agency model. This could see a reduction in eBook prices which in addition to increased happiness for book readers, in this writer’s opinion, could also spark a boom in sales of eBooks and readers. Anything that grows the eBook market is quite welcome here! 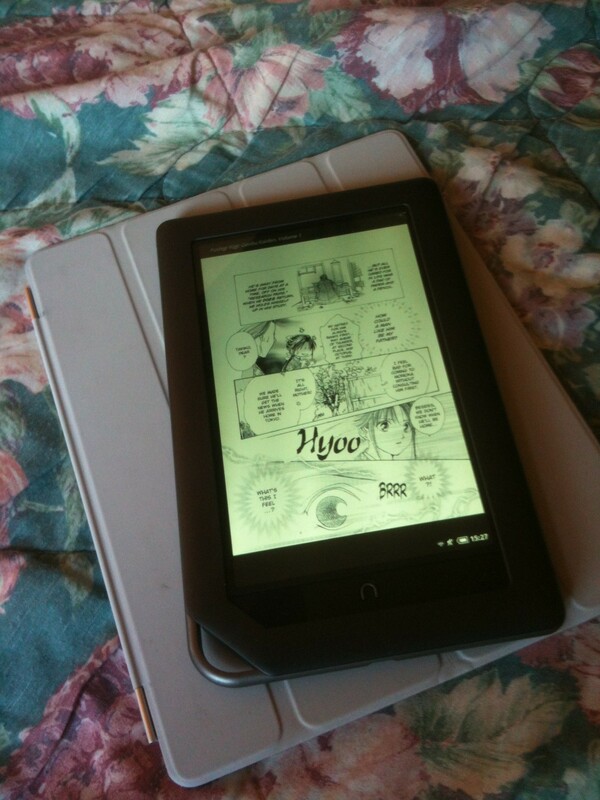 Viz manga on the Nook Color looks pretty good! Honestly, I was not a big fan of the 7 inch tablet. That screen size is just too small for most of what I do with my 10 inch iPad. So when I learned that Viz manga was available for the Nook Tablet and the Nook Color, my first question was, how readable is that going to be? Viz has yet to support panel mode viewing for its manga on the iPad, but the large screen of the device makes that unnecessary. And while I have enjoyed manga on my eInk based Nook, I found that often the bottom edge of the page is cut off and smaller text can be a challenge to read. So how would this play out on a 7 inch screen? The short answer is, wonderfully! I bought Fushigi Yûgi: Genbu Kaiden, Volume 1 by Yuu Watase, to read on my wife’s Nook Color. The Nook Color has the same size display screen as the Nook Tablet, so my observations should be valid it too. The art work looked great and the text was quite readable. The smaller screen is only evident for double page spreads. You can turn the Nook to landscape orientation to see the full image, but it scales down a lot leaving a fairly large black border. And you can tap to zoom anything you want to get a closer look at which came in handy for some of the author’s notes. So if you love Viz manga, and don’t have the budget for an iPad, the Nook Color ($169) or Nook Tablet ($199) are great alternatives. And both Nooks can add up to 32GB of additional storage via microSD card which is important if you’re reading a lot of multi-megabyte graphic novels like manga. 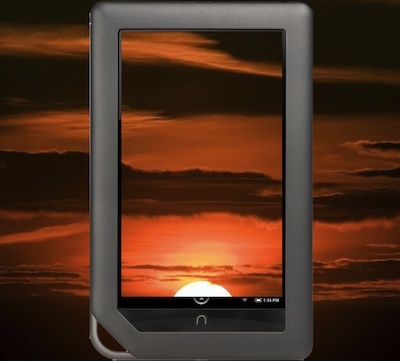 This expandability gives the Nook tablets a decisive edge over the Kindle Fire for this use case. That, and the fact that Viz manga is not available in the Kindle store right now. I was pleasantly surprised today by an email from Viz proclaiming the arrival of Viz Manga such as One Piece, Naruto, and others on the Nook. Viz manga has been available on their web site and the Apple iPad for a while now. 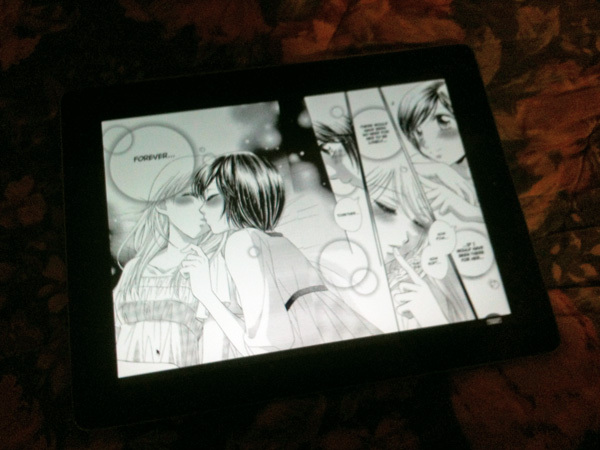 The iPad makes an especially good platform for reading manga with what I think is the perfect sized display. So I really wasn’t expecting to see Viz support the Nook. I might also add that the email seemed to imply that the eInk Nook might also be supported. 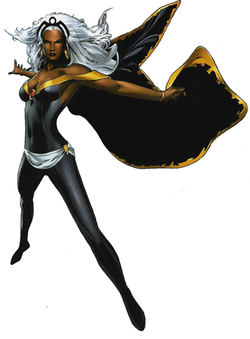 However a quick visit to the Barnes & Noble web site put that notion to rest. 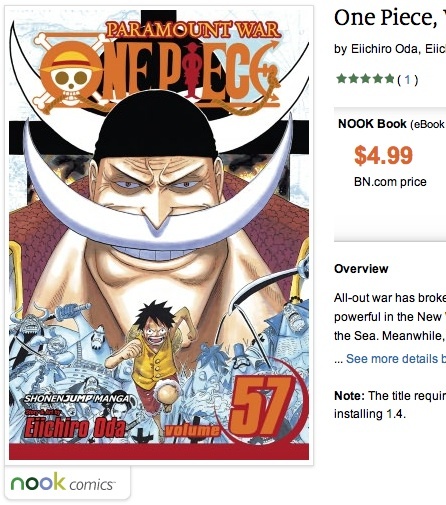 The site clearly indicates that Viz manga titles require the Nook Tablet or Nook Color with software version 1.4. And don’t get any ideas about reading these titles in the Nook reader software either. I tried reading a sample in the Nook reader on my iPad and Mac only to be informed that the title was not supported there. Popular Viz manga comes to the Nook Tablet and Nook Color. Sorry, none for eInk Nook! Honestly, I cannot see any advantage to Viz in locking these Nook titles to the hardware like that. 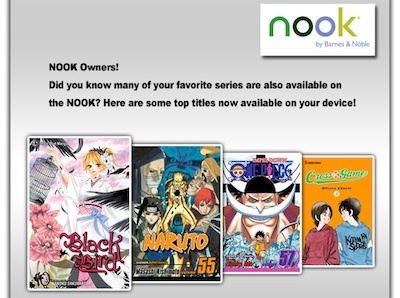 The primary beneficiary would be Barnes & Noble if the availability of Viz titles drives some Nook Tablet sales. The price drop to match the Kindle Fire, a price point that seems to be costing Apple at least a few iPad sales, along with some compelling content may be just the thing readers need to give the Nook color tablets another look. Especially the younger, manga reading demographic who can’t afford iPads. And I might add that Viz manga is not yet available on the Kindle Fire. Hopefully we’ll see some joint marketing from Barnes & Noble and Viz to promote this like crazy! 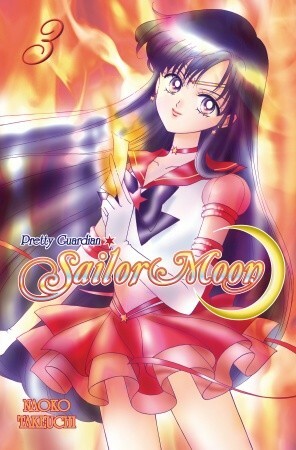 Sailor Moon Volume 3 was easily found at retail, others manga titles, not so much. A few days ago, I made a visit to the Barnes & Noble bookstore at DePaul University Center in Chicago. I just wanted to see how big the store was compared to the large one on North State Street. And I also wanted to see what their manga collection consisted of and how extensive it was. Given that the larger bookstore doesn’t have the greatest manga collection to begin with, I wasn’t expecting very much. I had hoped that being at the university, the manga collection might reflect the interests of a manga reading college demographic. Sadly, this was not the case. What I found instead was a small collection that seemed to consist of random volumes and orphaned Tokyopop titles. It looked like a clearance shelf whose only notable new titles consisted of Sailor Moon volumes. Disheartened, I decided to stop by Graham Crackers, a comics shop, to see what manga they might have. I already knew from previous visits that manga was not to be found in large quantities there, but I was hopeful of finding a few interesting titles. What I found sunk my heart further as there was even less manga there than my last visit of perhaps a year ago. The only new titles I saw were a few volumes of Highschool of the Dead. Given that the print only title Sailor Moon topped the New York Times best sellers list for manga for several weeks, clearly someone is still buying manga in print, but my own experiences seem to imply that finding manga at retail bookstores is becoming more difficult. So it may be that the large drop in the number of bookstores, and particularly the loss of manga friendly Borders, has driven most printed manga sales online. I’ve been forced to buy most of my printed manga from Amazon simply because I cannot find it at retail anymore. When available, I’ve been buying manga in digital format primarily from Viz and JManga. I can only wonder if sales of digital manga are making up for the loss of sales at retail. 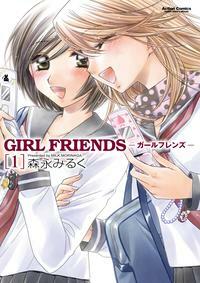 Still, not every popular manga title licensed in the U.S. is available, legally, in digital format. So lack of retail outlets, coupled with an internet savvy, but too young to easily buy online manga demographic, can only point to lowered print sales and perhaps upward pressure on piracy. Right now it looks like print manga is in full retreat at retail. As a manga lover, I can only hope that all manga titles licensed for sale in the U.S. will also be available in digital format soon. There’s no turning back now. Against the backdrop of Amazon Kindle Fire sales that may have exceeded 5 million units last quarter, Barnes & Noble made statements last week that implied they were seeking to spinoff the Nook division. All said, Barnes & Noble may not have the resources needed to grow the Nook business into a profitable competitor to the Kindle. Ironically, many credit the Nook and eBook sales with helping Barnes & Noble avoid the fate that befell long time competitor Borders last year. It’s hard to see exactly how they would benefit from spinning off the Nook. It’s believed that both Amazon and Barnes & Noble sell their eReaders at a loss, intending to make up for that by profits on the content sold through that hardware. It makes sense that Barnes & Noble would want to escape the loss making part of the equation, but what partner would want to pick that up? Much of the popularity of the Kindle Fire has been ascribed to its $199 price point. This low entry price is credited with a small decline in iPad sales in December. And it seems likely that despite some quality and usability issues, the Fire will take the number 2 tablet position behind the iPad. Again, one of the reasons Amazon can do this is that their profit comes from content sales on the Fire. A hardware only tablet maker has to make a profit on the hardware itself, which may not be possible at a $199 price point, or even the $249 of the Nook Tablet. If that is true, then Barnes & Noble will have a hard time finding a partner with the deep pockets needed to take that kind of risk. Then what is the point of the announcement? Is this some tasty bait being dangled before the likes of Google perhaps? While Google already has an eReader tablet, it has not been a great success, nor has their eBooks store relative to Amazon and Barnes & Noble. The Nook Tablet is powered by Google’s Android operating system, and is arguably one of the best Android tablets on the market. A Google Barnes & Noble partnership could be profitable for both and give publishers a viable counter balance against Amazon. Still, it’s hard to see this happening. And in the absence of additional resources, the sun may be setting on the Nook far too soon. How Do I Sign An eBook? As I was ironing my shirt this morning I found myself thinking about Rumiko Takahashi, the creator of the popular Inuyasha manga and anime series. 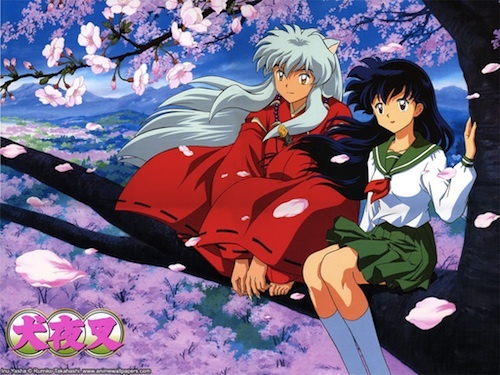 A song from one of the Inuyasha movies was playing on my iPod and I was remembering how much I’d enjoyed that series and how it would be fun to meet the Takahashi-san some day. I’ve never been all that big into getting autographs, but with so much of my reading being in digital format now, including manga, the question arises of what exactly would I give the author to sign? Inuyasha is now available in digital format via the Viz manga app. It’s a long series that was a hard to follow in print because the releases were a bit sporadic, and now with the collapse Borders and the general deflation of the printed manga market in the U.S., it’s even harder. So Viz’s digital releases have given me a new opportunity to enjoy the full series in its original format. But what do I give the manga-ka to sign? Signing my iPad would probably not be such a good idea, but buying an Inuyasha poster or wall scroll for this purpose would. An author of a popular established series will have plenty of merchandise that can serve this purpose. As the eBook becomes the primary publication medium, I think even new authors will need to have something to sign. Merchandising isn’t just for the big shots anymore. There are already a number of companies that manufacture customized merchandise of all sorts at reasonable prices. A simple postcard featuring the cover of their book or a personal portrait would be a good start for what will hopefully be a growing fanbase. After that, the sky’s the limit so plan for success now!